The Ceremonial Hall of the University of Montenegro, on Monday, 18 May 2015, starting at 12h00. Monday, 18 May 2015, starting at 12h00. - The First issue of the journal "Our agriculture" ‘[Naša poljoprivreda] (later "Our Agriculture and Forestry", ‘[Naša poljoprivreda i šumarstvo], nowadays "Agriculture and Forestry" [Poljoprivreda i šumarstvo]) was published in March 1955. - For a period of six (6) decades the Journal is published on a regular basis, quarterly. - In the period from 1955 to 2015 journal is guided by the following Editors in Chief: Vojislav MIJUŠKOVIĆ (No. 1-7), Zlata RADULOVIĆ (No. 8-9), Branko BULATOVIC (No. 10-11), Ljubo PAVIĆEVIĆ (No. 12-39), Zora VUČINIĆ (No. 40-50), Velibor SPALEVIĆ (No. 51-59), Milic ČUROVIĆ (No. 60, 61 and further). - The current structure of the Journal Editorial board is the following: Milić ČUROVIĆ, Editor in Chief (BTF), Miomir JOVANOVIĆ, co-editor and Secretary General (BTF), Igor PAJOVIĆ, coeditor – Technical Editor (BTF), Luka FILPOVIĆ, Technical Editor (CIS, UCG), Ana TOPALOVIĆ (BTF), Slavko MIJOVIĆ (BTF), Momčilo RADULOVIĆ (BTF), Nataša MIRECKI (BTF), Božidarka MARKOVIĆ (BTF), Jelena LATINOVIĆ (BTF), Radmila PAJOVIĆ (BTF), Aleksandra DESPOTOVIĆ (BTF) (all from Montenegro), who are working together with the honorable colleagues from the SEE Region (by alphabetical order): Ardian MACI (ALB), Che Fauziah ISHAK (MYS), Drago CVIJANOVIĆ (SRB), Dusan KOVACEVIC (SRB), Dusan PETRIC (SRB), Elazar FALLIK (ISR), Emil ERJAVEC (SLO), Franc BAVEC (SLO), Goran BAROVIC (MNE), Gordan KARAMAN (MNE), Guangyu SUN (CHN), Hamid CUSTOVIC (BIH), Hubert HASENAUER (AUT), Ignacio DIAZ-MAROTO (ESP), Jasmina HAVRANEK (CRO), Joachim Müller (GER), Juan Antonio Ballesteros Canovas (CH), Lydia PEREVEDENTSEVA (RUS), Mico OLJACA (SRB), Mihailo NIKOLIĆ (SRB), Milan MEDAREVIC (SRB), Naser SABAGHNIA (IRI), Naldo ANSELMI (ITA), Naveen KUMAR, (USA), Paraskevi LONDRA (GRE), Peter DOVC (SLO), Reinhard EDER (AUT), Renzo MOTTA (ITA), Sead ŠABANADŽOVIĆ (USA), Sinisa BERJAN (BIH), Shkelqim KARAJ (GER), Svetislav POPOVIC (MNE), Vlatka VAJS (SRB), Vjekoslav TANASKOVIK (MKD), Vojislav TRKULJA (BIH), Zvonimir BOŽINOVIĆ (MKD). -In addition to the permanent members of the editorial board of the Journal in the last two years we have been supported by the 120 reviewers, local and international experts (list available on the website of the Journal: http://www.agricultforest.ac.me/agriculture&forestry/page/9). -The last (10) Volumes (as of the Volume 51, the Issue 1, year 2005) the Journal publishes papers in English. -In Addition to the printed version (ISSN 0554-5579) the Journal is available in electronic format (E-ISSN 1800-9492). Editorial team in the past few years uploaded over 30,000 pages of the complete editions of the Journal (1955-2015) that is available on the internet. Complete archive of the journal is set in electronic form on the website www.agricultforest.ac.me. 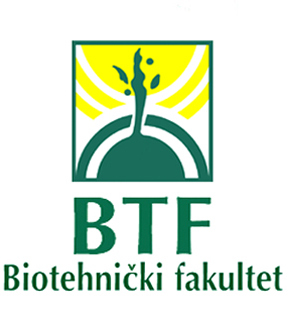 -Establishing an electronic registry of the structured database, it was found that in the period from 1955 to 2015 in this Journals was published 2287 scientific articles and information in the field of biotechnical sciences (field: soil science, soil erosion, machinery, plant protection, farming, pomology and viticulture, organic farming, animal husbandry, veterinary medicine, genetic resources, microbiology, food safety, dairy, biology-general, zoology, botany, fisheries, marine biology, agricultural economy, rural development, the common agricultural policy (CAP), sustainable development, as well as the issues relating to gender equality, physical-geographical studies, the application of computer-graphical methods, European integration in relation to agricultural science, etc. ), with the average of 13 papers/contributions per volume (for the period 1955-2015). -Citation, according to Google Scholar records, in the last three years increased 10 times compared to the respective years from the previous period 1955-2013, with the 55% of citations only in the period 2010-2015. -The Journal is included in the CrossRef database; all the papers have a unique DOI number. -In the last three years, 2013-2015., the authors from 45 countries all over the world published their research results in our Journal (in the last Volume 60 / Issue 4, which was released in December 2014, out of the 36 papers, we have the authors from 24 countries). In the Volume 61 / Issue 1 of 31 March 2015, we have prepared 38 new papers, with more favorable international structure of authorship than earlier. -The Journal has been supporting the international conferences also, of which we would like to highlight the conferences: AgroSym (www.agrosym.rs.ba) and FP7 REGPOT 2010, "Fostering a Science-based Development of a sustainable Montenegrin Agriculture - AgriSciMont". -In the period from 1955 to 2015 we published 178 notebooks, presenting the results of numerous domestic and foreign researchers, including the papers our colleagues from the Montenegrin Academy of Science and Arts: Ljubo PAVICEVIC, Milorad MIJUŠKOVIĆ, Marko ULIĆEVIĆ, Božina IVANOVIĆ, Gordan KARAMAN, Vukic PULEVIC. -We are highly recommending you to visit the section History of the journal "Agriculture and Forestry" / Photo Gallery (www.agricultforest.ac.me/agriculture&forestry/page/103), where you will be reminded on some of our honorable colleagues of our profession. - We are proud on the fact that our Journal is a holder of the medal "Order of Merit with Silver Rays" (Orden zasluga za narod sa srebrnim zracima (serbo-croatian); Ordre du Mérite pour le peuple aux rayons d'argent (fr. ); Орден Заслуг Перед Народом с Серебряными Лучами (ru. ); Red zaslug za ljudstvo (slo. ), Орден заслуги за народ (mkd.). -Many other facts available at the web site of the Journal: www.agricultforest.ac.me. 67 days, 19 hours, 54 minutes.